Toronto is Canada’s largest city and the 4th largest in North America. With an estimated 2.8 million people living in Toronto, and 6 million people estimated to live in the Greater Toronto area, putting a finger on the habits of an average Torontonian is a bit of a challenge, but not impossible. Fortunately, Torontonians have some unique characteristics. Here are some things to know about Torontonians…some may surprise you! 1. Torontonians don’t always agree that the best view of the city is from the CN Tower, a great tourist attraction. Most Torontonians haven’t visited the CN tower since grade school. 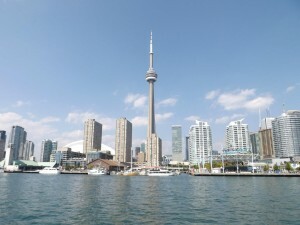 If they want to show off the city to someone who is on an extended stay in Toronto, they take their visitors to Centre Island, which has the best view of the Toronto skyline. 2. Torontonians are fixated on the weather. Don’t be surprised if during your extended stay in Toronto that you hear a different complaint each day. The weather in Toronto changes a lot and locals comment on every single change. 3. 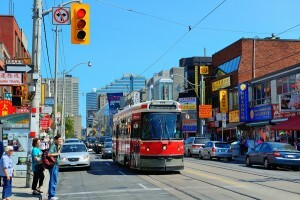 Toronto’s multicultural neighbourhoods are the pride and joy of Torontonians. With other 200 different ethnicities and 140 dialects and languages spoken, the city’s diversity translates into neighbourhoods that have the look and feel of different parts of the world. Toronto has four major geographic areas each with a number of different neighborhoods and Torontonians identify with the neighborhoods they are from, live in and shop or eat out in. 4. You would be hard pressed to find a Torontonian who isn’t proud of their food scene and love being foodies. The food scene in Toronto reflects the city’s diverse ethnic background. From fine dining to street fare, Torontonians love to eat out. Need a good recommendation? Torontonians truly in the know are the taxi drivers. 5. Torontonians might love to share diversity, but not their personal space. They don’t like people speaking too closely to them, or sitting next to or close to them trains or streetcars. As is true of any major city, public transit isn’t the best setting to try and strike up a conversation. 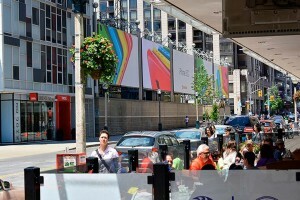 Downtown Toronto – Front and John St.
6. Torontonians walk around the city as if they are in a hurry, and they tend to drive that way too. Not to worry, if you are visiting on an extended in stay Toronto, they will stop and speak to you, and people are more than happy to take a picture for you! 7. Even though Torontonians do not like their space invaded and move quite quickly, they are exceptionally friendly, good listeners, who will answer all of your questions with a smile, if you ask. 8. While you’re bound to see some luxury cars during your extended stay in Toronto, every Torontonian has a tale about the TTC, the local transit network (many of them less than glowing). However, public transit is fairly efficient in the city, and an inexpensive way for visitors to get around. 9. 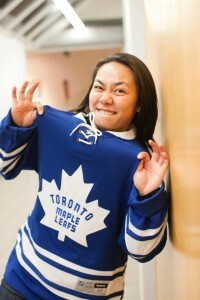 No matter how well or poorly their local sports teams are playing, Torontonians support them vehemently. Even if the team rarely makes the playoffs (*cough* Toronto Maple Leafs, *cough*) Torontonians will get their hopes up, buy tickets to the game and cheer. 10. Torontonians love their city. They support vibrant arts and music communities including the world renowned Toronto International Film Festival and the Royal Ontario Museum. 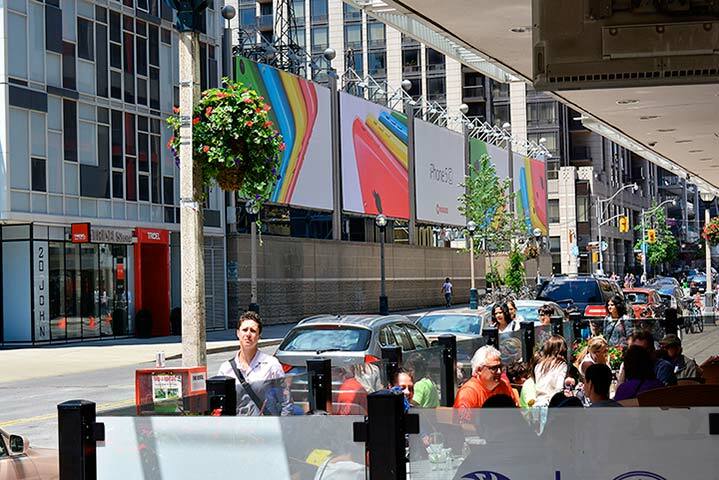 With a host of world class concert venues, sports facilities, shopping, restaurants, and gorgeous public parks and beaches, Torontonians will tell you theirs is a truly great city in which to live, or to visit. Keep these characteristics about Torontonians in mind during your extended stay in Toronto, and you will enjoy everything the city has to offer that much more than the next visitor.